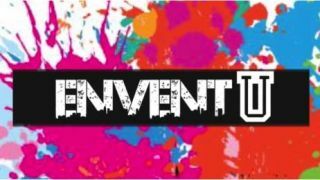 EnventU, an education initiative that provides District of Columbia public high school students with work-based learning opportunities in the event industry, has formed a partnership with InfoComm International. The partnership will provide EnventU students from Columbia Heights Educational Campus (CHEC) with two hands-on in-classroom presentations, a virtual learning opportunity and the chance to win an all-expenses paid trip to Orlando, FL to attend InfoComm 2017 from June 14-16, 2017. EnventU and InfoComm kicked off the partnership with two days of special in-classroom presentations at the Columbia Heights Educational Campus, in Washington, DC. Fifty students received a crash course on the AV industry that included an overview of the types of businesses within the industry, the kinds of careers that are offered, and a hands-on look at some of the innovative AV technologies that are used to create a memorable event. Students also gained access to an interactive online course that expounds on their classroom learning experience. Summit Event Productions, a boutique lighting design and production firm, and event production company DAL Productions will sponsor the student’s travel.